"Concerts are pretty much performance art with the venues changed." "If you think about those days when Fab Five Freddy was with Madonna and Basquiat and everything. We all went to those clubs, that's when hip-hop was more underground. The arts and hip-hop really partied together. But when art started becoming part of the gallery, it was this separation. But we pretty much came up together." But not everyone has caught up with this sentiment. Take a look at NPR's well-written blog on the video and scroll down to the comments section. Rap is referred to as a "diarrhea of the mouth," a genre that corrupts poor urban youth, a vulgar music with horrific messages, and at one point someone tries to assert that rap was already done before by beatniks in the '50s and '60s. Very rarely is the content of the actual video discussed. These people are clearly not Jay-Z's target audience, and they are freaking out. Because up until about seven or eight years ago, rap as depicted by the mainstream media was violent and vulgar. It was the instigator of shootouts and censorship and the objectification of women. To these people, rap music was made by "thugs," and things they had to say were the furthest thing from art that they could imagine. Rap music consisted of people like 50 Cent and Nelly singing about drugs and women, and beyond that, nothing else existed. But once music news began to disseminate more frequently via the Internet, giving artists an easier way to release and distribute music (especially in the world of hip-hop, where free mixtapes are easily downloaded online), the depiction of hip-hop as a genre became more three-dimensional. Suddenly, there was bounce music and trap and cloud rap (and if you're a particularly ignorant music journalist, gay rap). There are people rapping about the objectification of women, alcohol addiction, and the wide spectrum of human emotions. Not that this diversity didn't exist before, but now you can throw a rock and hit a music article with millions of hits about a group of young kids making rap music that sounds completely new and different. 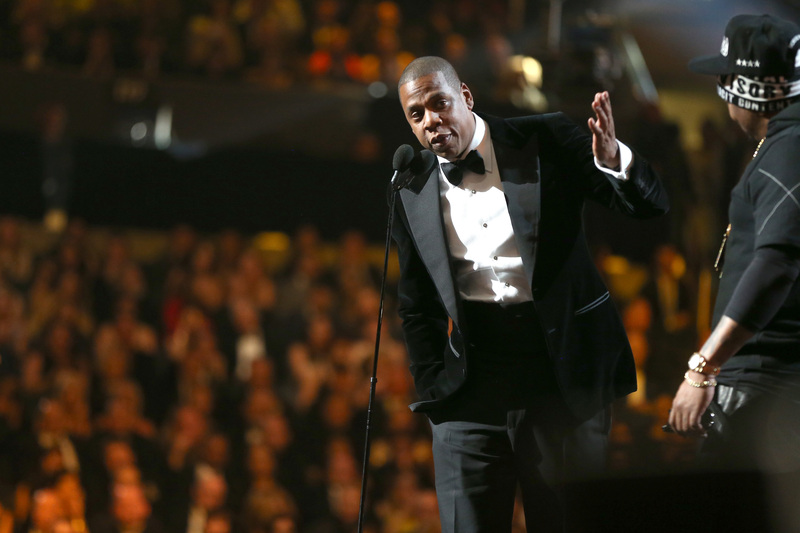 It's easy for rich, successful artists like Jay-Z to take risks and dabble in the world of music as performance art. The video is beautiful, a work of art in itself, but the gesture pales in comparison when you have younger, tougher artists like poet and rapper Michael Quattlebaum Jr., who will rap in Latin as his teenage girl alter ego Mykki Blanco. But Jay-Z's video is so prominent that hopefully, it will show white, mainstream America that hip-hop is not just full of "thugs" or whatever vague, racist assumptions they want to make — it's a genre that's a rich and diverse as any other.